Here is a mod that add mazes to your Minecraft. 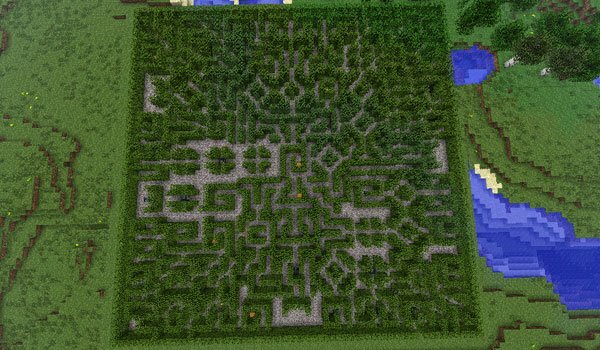 Dynamic Mazes Mod 1.7.2 and 1.7.10 adds different types of mazes, some larger and some not . They are generated dynamically. These mazes are full of traps, monsters and of course, treasures. These mazes can be found both on the surface and under terrain, this ones usually appear below the larger labyrinths found in surface and tend to be even more dangerous. These mazes are generated in a small percentage so you should explore enough to find one or have a lucky and find the first. How to install Dynamic Mazes Mod for Minecraft 1.7.2 and 1.7.10? Find the treasures of the labyrinths of Minecraft!